It could have been so beautiful. Schalke wanted to make up for the messy season in the Bundesliga in the DFB Pokal. On Wednesday, however, the miners eliminated at home against Werder Bremen and now you have to focus on the fact that in the league is not the super-GAU occurs. No one would have thought it possible that the still running runner-up in this season so stumbles and continues to fear for his right to start in the Bundesliga. Currently it looks like the Schalke remaining in the Bundesliga, but that could change this weekend, because with Eintracht Frankfurt comes a very strong team to Gelsenkirchen. 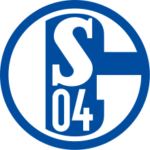 Schalke is currently in the league table with 26 points on the 14th Place. The cushion up to the relegation place amounts to six points. We can almost rule out a direct descent at ten points before the 17th place. But whether that is a calming pill for the Schalke environment, we leave it a question. Frankfurt, however, is fully on course towards the Champions League. The Hessians have formed a team that not only deserves to qualify for the premier class, but is also likely to be able to win the Europa League. The differences are currently clear and therefore we would tend to give the prediction in the duel between Schalke and Frankfurt in the direction of an away win. The current form of the two teams clearly speaks for the Eintracht. 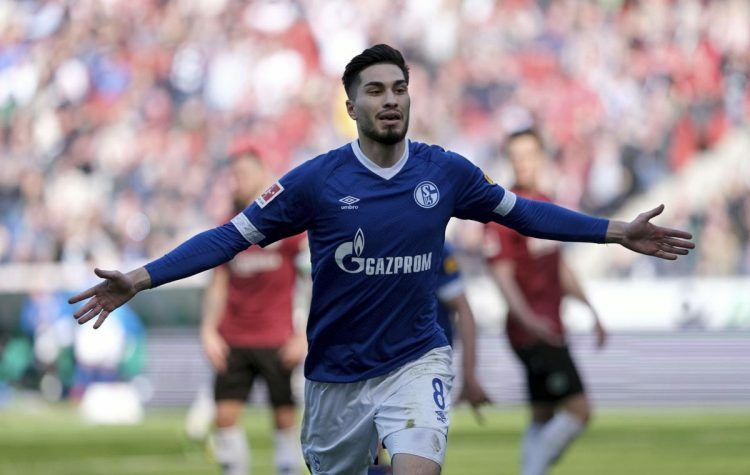 In addition, there is still the fact that the Schalke had to complete an intense cup match on Wednesday, which could have left not only physical, but also psychological traces by the defeat. We therefore think that in the match between Schalke and Frankfurt a tip on Eintracht would be our first choice. Of course, one must bear in mind that the team of Adi Hütter will have to play Benfica in the Europa League next Thursday. Such constellations have proved to be an obstacle even with more experienced teams. The Schalke are stuck with skin and hair in the fight for relegation. That does not pass by the participants without a trace. Head of sport and coach were exchanged and now it should judge a grumpy Dutchman, who was already able to name age-deceptive. But there is nothing to see. Huub Stevens is still a volcano when he sits on the bench. He should save the Royal Blues from relegation. Although the cushion on the relegation place is currently six points big, the squires are far from being off the hook. In the last eleven games, there was only one win and one draw. The Schalke landed the three, very happy, at the Fast-relegated in Hannover. The form is to forget and therefore it is not an option for us to give a tip on the hosts in the duel between Schalke and Frankfurt. Schalke has too rarely understood this season as a team to perform. You can not shake the feeling that eleven lone fighters are on the lawn. At least in this respect, the cup match on Wednesday against Werder Bremen was an advance. The Schalke really delivered a good game, but in the front, the chances were not used, while Bremen punished the Schalke mistakes ice cold. At the end it was 0: 2 and Schalke missed the chance, with a win a broad chest for the other games in the relegation battle to get. If we can believe Huub Stevens, then there is light at the end of the tunnel, because apparently the coach has found the key to the failure. We are very excited about whether the findings will bear fruit against Frankfurt on Saturday. Huub Stevens will continue to be without the services of Weston McKennie, Alessandro Schöpf and Daniel Caligiuri. In the attack, Guido Burgstaller and Mark Uth fought for the place next to Breel Embolo, where the Austrian should have the better cards after the serious injury of Uth. The development of Eintracht Frankfurt in recent months is very impressive. Nevertheless, they have taken another step in recent weeks. The Eintracht is already more successful in this season after 27 matchdays than in the entire past season. In the last five competitive games, there was no goal conceded. In the Bundesliga, the Hesse last celebrated three to-zero victories in a row. Searching for such series so far has been in vain in the history of this club. Overall, there were five wins in a row in the Bundesliga. 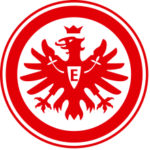 Eintracht succeeded this feat more than 25 years ago. The Frankfurt have not lost in the ten games of the second half. These are simply outstanding numbers, so that we can hardly help but to make a clear prediction on an away win in the duel between Schalke and Frankfurt. If the Hessen continue this way, they will compete for the first time in the Champions League next season, but the squad will probably have a different face. The Eintracht delivered a very convincing performance again last weekend. Against VfB Stuttgart, there was a sovereign 3-0 win. Significantly involved was the Serbian faction. Filip Kostic initially scored two goals for a 2-0 lead before Luka Jovic made it 3-0. The self-confidence of Frankfurt is currently hard to top. That’s another reason why Eintracht is doing well, as storm tanker Sebastien Haller points out. He sees himself and his colleagues in a flow that allows them to beat any team. However, it is unclear whether the Frenchman can play on Schalke on Saturday. He is as battered as Mijat Gacinovic. Quite possible that both will be spared for the match against Benfica. Certainly not included are Timothy Chandler, Marc Stendera and Taleb Tawatha, all of whom are still injured and can not participate. Round 100 competitive games are between Schalke 04 and Eintracht Frankfurt until today. The direct comparison is almost balanced. After victories, the Hessen are just ahead with 38:37. A total of 25 games ended with a draw. The first leg in the current season was a clear affair. In the 3-0 home win met two of the three from the offensive buffalo herd. Luka Jovic scored the first two goals before Sebastien Haller made it all clear with a 3-0 victory. The FC Schalke lurches this season on the brink. The descent into the second division is not very likely, but this scenario is not ruled out. If Huub Stevens fails to deliver the right results then it will be very, very close. After all, the Schalke have been celebrating in the last eleven games only a sense of achievement. Especially in the duel between Schalke and Frankfurt we would therefore not pay particular attention to the odds of a home win, especially since Eintracht may live through the best phase of the last 20 years. ⭐️ Schalke has only won one of their last eleven games. ⭐️ Frankfurt have won five times in a row in the Bundesliga. ⭐️ Overall Eintracht is still undefeated in the second half of the Bundesliga. Currently, the Hesse crack their own record after another with won games in series, games without conceding, unbeaten games and so on. Therefore, we can not understand that in a match in which the shape of the two teams drifts so clearly apart, so high odds are offered on the strong team. In the match between Schalke and Frankfurt betting odds of up to 2.38 on an away win are offered. It must be included in the value in any case. We therefore bet on a victory of Eintracht Frankfurt.